How is occupational therapy different than physical therapy? Therapist: “Hello, my name is Brittany. I received an order from your doctor for occupational therapy. Is now a good time to meet for your evaluation? For this reason, every occupational therapist has a solid elevator pitch ready for their patients in response to the mention of occupational therapy. 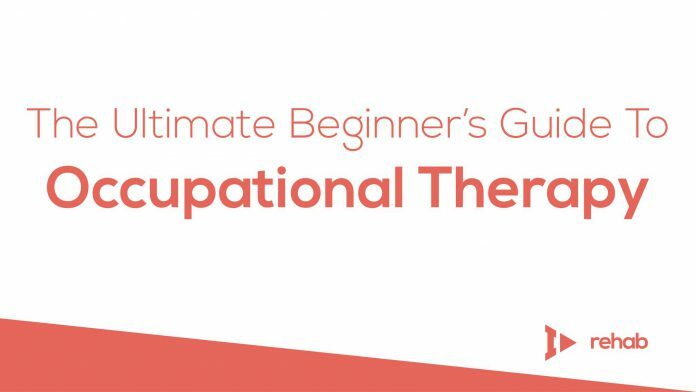 In this article, I’ll discuss what an occupational therapist is and how they can help you in various practice settings. Due to the diversity of this profession, it is possible most of the general population has a deficit, injury, or illness which can benefit from OT treatment. There are many opinions out there on what exactly constitutes occupational therapy and physical therapy, and even more on what sets each field apart. For example, a common perception is occupational therapists work on that of the upper body, while physical therapists work on lower body ailments or injuries. While this once was the best way to differentiate between OT and PT, it is now more difficult to separate their roles based upon body parts. It can better be summarized by OT’s focus on task analysis and completion of functional activities and meaningful occupations while PT’s focus on quality of bodily movements. With this in mind, each field is equally qualified to treat the whole body in accordance with their respective scopes of practice. This is very true in settings such as inpatient acute care or outpatient orthopedic centers, where patients present with mainly physical complaints. However, it does not explain what occupational therapists do in settings where they are the sole discipline. For that reason, a good motto for the field of occupational therapy is, “We get you back to doing what is most important to you.” This often includes self-care tasks including dressing, grooming, using the bathroom, and showering. These are the most common daily activities of the general population and typically the most impacted by disease or injury. In addition, occupational therapists will work on any weakness in order to get a patient back to doing such tasks for themselves. This often includes treatments similar to those of physical therapists (i.e. strengthening, range of motion, pain management, and more). With this in mind, let’s look at occupational therapy in each of the settings mentioned above. An OT in a long-term care facility often assists residents with the maintenance of chronic, often end-stage diseases. Examples include cancer, moderate to severe dementia, and kidney disease. A typical maintenance program may consist of basic strengthening exercises and positioning recommendations to prevent skin breakdown. The goal is to keep a resident’s functioning at its current level and lessen the burden on their caregiver. Overall, this treatment is typically completed once or twice per week, mostly due to the resident’s needs being medically stable. 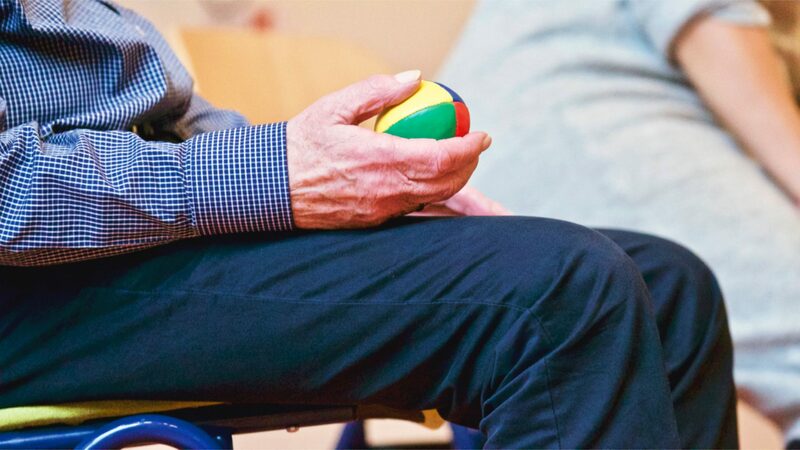 OTs in short-term rehabilitation facilities (i.e. sub-acute rehabilitation facilities or skilled nursing facilities) provide 1.5 hours of treatment per day. Depending on what the patient’s needs are, this may also be the case for other therapies. OTs in this setting provide treatment addressing self-care tasks, also known as activities of daily living (ADLs). This includes dressing, bathing, eating, toileting, grooming, and hygiene. Completion of these ADLs is vital in order for patients to return to their homes after a short stay in rehab. As a result, this is why they are the main focus of treatment in this setting. For the most part, this includes anyone who is currently independently caring for themselves and can no longer do so after surgery, illness, or injury. OT is an important treatment to receive in this setting as it keeps patients from returning to the hospital and reduces/prevents falls. This setting is for patients who are generally admitted to the hospital for a short period of time (3-5 days). Self-care is addressed along with balance and overall strength. However, patients are not always in this setting for very long. Many discharge directly home if they are able to function and have a safe home environment. In cases such as these, OTs play an integral role in ordering and training patients on equipment for use at home, along with preparing patients to resume their therapies in the home, if indicated. It may also be determined early on that a patient needs more rehabilitation and medical care, in which case, transfer to acute or sub-acute rehabilitation is the next step. The next step for some in acute rehabilitation or an alternative to traditional acute rehabilitation is the more intensive and medically-focused long-term acute rehabilitation. This is traditionally for patients who have more critical medical needs than the typical acute rehab patient. This may include the use of ventilators for patients who cannot breathe independently, those who require frequent adjustments to multiple antibiotic treatments, and patients with complex care instructions for highly contagious infections. Areas addressed in rehabilitation may be similar to those provided in standard acute rehabilitation, however, this is largely dependent on each patient’s tolerance for such treatment. The frequency of long-term acute rehabilitation is also less than that of standard acute rehab, as most patients are not required to receive acute rehab’s required 3 hours of therapies per day. Similarly to other acute settings, therapists in this setting will work to prepare a patient for the next level of medical care when they become ready for discharge. An occupational therapist working in the school system often has work days and school vacations similar to those of a teacher. It is a common assumption that OTs in the school system only work with children on handwriting skills. While handwriting is part of an OT’s treatment in this setting, there are many other areas OTs address. Fine motor skills, in general, are frequently addressed at school. This helps prepare children for assisting with dressing (buttons, zippers, etc. ), the use of scissors, manipulating eating utensils, and using an appropriate grip for writing instruments. School system treatment also addresses visual deficits, such as a child having difficulty seeing the board during class or delayed processing when reading or completing homework. In the cases where this is not an issue resolved by prescription glasses or contact lenses, OT can assist in vision training and activities to improve these skills. Sensory integration, including inability or difficulty processing stimulus associated with tasting, smelling, touching, hearing, or seeing, can also be addressed. This is especially the case if these deficits relate to the completion of assignments and tolerance for sitting through classes. RELATED: What is Vision Therapy and How Does it Work? Therapists in outpatient orthopedic clinics may work longer days to accommodate for higher functioning, working population. Patients who receive treatment at outpatient clinics are those who are willing and able to commute to and from the clinic. This is typically a setting where patients would receive therapy after staying in a facility to receive short-term rehab. Subsequently, their deficits are not largely impacting function, as they are able to remain in their homes and receive therapy in the community while resuming most of their daily activities. OTs and PTs that specialize in treating injuries to the hand receive the title Certified Hand Therapists (CHTs) once passing a certification. This is mostly an outpatient specialty due to the high numbers of hand injuries that occur in the world. Due to the intricate structures and functions of the hand and their use in every daily activity, it is important for those specializing in this area to have thorough knowledge in the mechanics and treatment of the hand. To further expand upon the specialty, some clinics are exclusively for those with injuries or disorders of the hand. Typically treatments will involve the use of some machines including therapeutic ultrasound and electrical stimulation. Both of these assist in relieving pain and decreasing swelling, which are common symptoms of the diagnoses listed above. As mentioned earlier, there are many academic-related deficits that OTs address in school systems. Sensory integration therapy is addressed on a basic level in the school systems. With this in mind, it is addressed in greater depth at pediatric outpatient clinics or sensory integration clinics. This is considered a specialty area within OT, as deficits addressed in this setting relate only to sensory integration. Treatment in this setting may appear to be playing games and engaging children in activities of their choice, but this is not always the case. OTs in this setting have the rationale and clinical reasoning to support each activity they complete with a child. 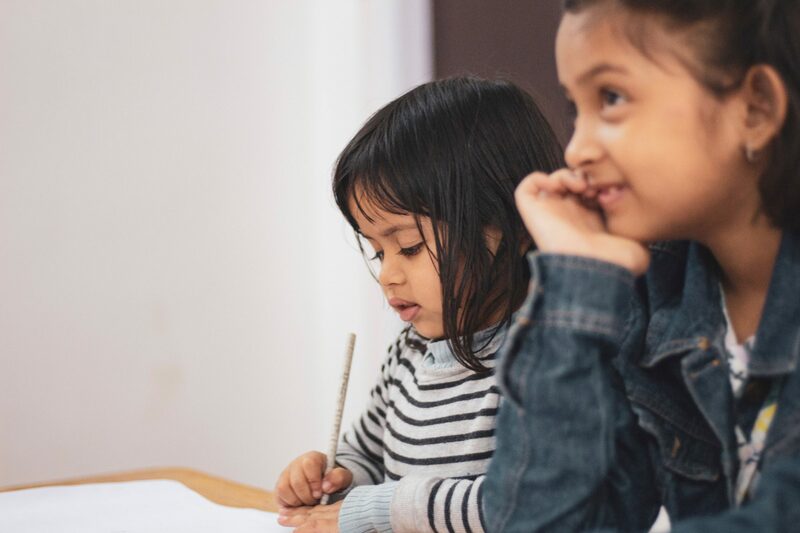 This is based on their comprehensive evaluations, including speaking with parents or caregivers, assessing a child’s abilities, and observing how a child behaves in response to certain activities or tasks. This also includes integration of a sixth sense, which many are unaware of. Proprioceptive stimulus is that which assists in calming the mind and regulating behaviors and emotions which a child may experience. OTs are experts in training children to seek this stimulus as appropriate and integrate it into their daily lives with the assistance of parents or caregivers. OTs in acute rehabilitation hospitals provide intensive treatment, as each patient admitted is expected to perform 3 hours of therapy per day. This means patients are undergoing aggressive treatment to remediate large-scale deficits. For example, a typical patient in acute rehab may be an individual in their 30s who was driving, working, and living independently just a short time ago. This may mean the patient is unable to walk or care for themselves at all following such incidents. As a result, treatment is given at a high frequency each day in order to bring the patient’s level of functioning up to where it previously was. Treatments are similar to that of short-term rehab, as there is a large focus placed on activities of daily living. For some patients who have quite severe deficits, treatment first focuses on independently sitting upright, adjusting posture, and moving from their bed to a chair. If the diagnosis is a brain injury, brain bleed, or skull fracture, treatment will firstly include cognitive therapies to build tolerance for and safety during physical treatments. Physical rehabilitation is the primary function of acute rehab hospitals. However, acute rehab hospitals can also serve those requiring inpatient psychiatric treatment. Patient is admitted to an acute psychiatric hospital (or a unit in smaller facilities) if they are unable to regulate their behaviors within the community or if they pose a significant risk to themselves or others. This includes patients who are experiencing suicidal or homicidal thoughts. Typically rehab in such a facility focuses on nursing services to stabilize or re-stabilize a patient on psychiatric medications so they can re-enter the world. OT can provide a variety of treatments to complement this medication regime. This may include activities of daily living for some patients. This is delivered in the form of group therapy with discussions, training, and simulations of these activities. RELATED: What Is It Wellness and Why Is It Important? This is much less structured than an inpatient facility as this is on an outpatient basis. This means individuals receiving this therapy are living in the community, either in homes independently, in group homes, or other supervised living arrangements. OTs in home health provide rehab in the most natural setting, a patient’s home There is no need to simulate activities or craft activities to mimic what a patient will experience at home. Instead, tasks can be completed where the patient will continue completing them once therapy ends. OTs here also work on activities of daily living, as self-care tasks are integral to a patient remaining in the home successfully. Even more than OTs in other settings, home health OTs must constantly be observant of cognitive changes in their patients. This directly impacts their ability to live on their own. There is time for this issue to be addressed if a patient is temporarily residing in a facility for rehab. However, this is not the case in home health, making it a bigger safety risk if left unaddressed. Another portion of home health services is early intervention for the pediatric population. This includes treatment of children between the ages of one month and three years old. Due to the fragility and complexity of children receiving these services, they are completed in the home, rather than in a pediatric outpatient facility. If deficits remain, OTs can continue to work toward achieving developmental milestones at an outpatient pediatric clinic when the child is over the age of three. As you can see, occupational therapy looks very different depending on where the service is taking place and which population is being treated. Chances are, if you are in any kind of healthcare facility, there will be an OT on staff or involved in some capacity. If you have any questions as to what OT can do for you or how exactly they function in each setting, comment below or reach out to an OT today! Brittany is an occupational therapist specializing in mental health, disease prevention, and complementary and alternative modalities (CAMs). She is a certified trauma practitioner and certified light therapist, and has served as lead therapist at a state psychiatric hospital developing a dual program including psychoeducational therapy and physical rehab. She is guest lecturing in Occupational Therapy Master's programs in the area of effective documentation. She is currently a utilization reviewer for sub-acute and acute rehab for Fidelis Care in Buffalo, NY.